Choose from a wide selection of Volvik logo golf balls featuring your company logo or branded message for your next golf tournament, event, outing or promotion. 4. 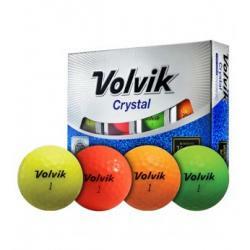 Your Volvik logo golf balls will be produced and shipped followed by a tracking number sent by email. The Worlds First ever Matte finish golf ball'. Bright Vivid Color Increases Visibility in Air and on the Ground. Ultimate Distance with Consistent and Stable Ball Flight. High wedge spin More Accurate Aiming by Distinct Putting Line. Soft and Comfortable ..